stacey yacula studio: sweets, snow and a sneak peek! sweets, snow and a sneak peek! my family a little treat instead of buying something. i found these cupcakes while visiting pinterest. if you have never been on pinterest, i highly recommended it. and instead of icing i tinted whip cream. we have also been enjoying a bit of winter. 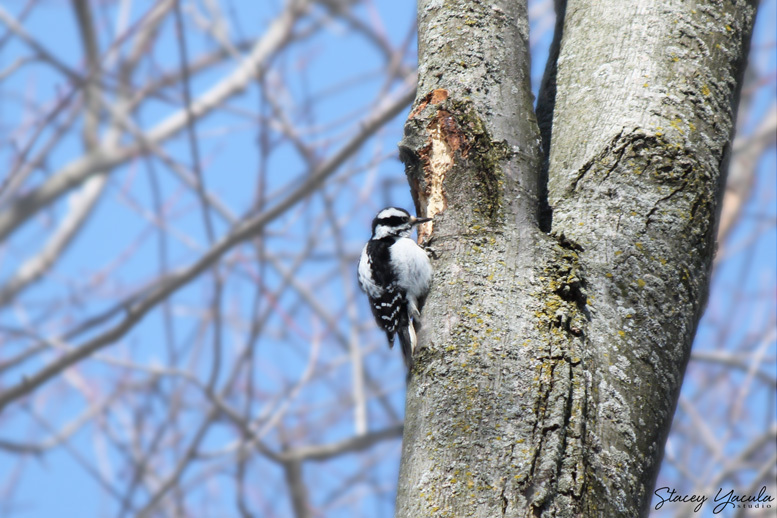 little woodpecker in the tree top. as it looked for food. bailey did not care either as she happily played in the snow. she just loves the snow! the large snowstorm we had a few weeks ago. lastly, i thought i would share what is currently on my desk. occasionally i am able to accept commission work. luckily, i have a very understanding and patient client. i am finally in the process of completing the final illustration. here is a sneak peek of the illustration in progress. Your Bailey photo makes me homesick for PEI and my sisters dog, so cute! Love your new illustration of course! Jeanette, so sorry to make you homesick. golden's certainly warm your heart. i hope at least the photo of bailey and my new illustration at least gave you a smile to make up for missing home. So BEAUTIFULLY ADORABLE!!!! :) Can I ask...do you sketch it in pencil, and then what you use to color in? Thank you Marissa! Of course you can ask... it truly depends on the illustration and the look I am trying to achieve. I plan all my work before going to final illustration and I always transfer my sketch to my paper before illustrating. In this particular case I went over my "transfer" lines with pencil before adding a watercolour wash. I am currently in the process of adding many layers of pencil crayon. ( I have a variety of different brands of artist quality pencil crayons- they are so worth the investment) My work tends to have many layers and since this piece is still in progress I am not sure what mediums I will add next to achieve the look I am after. I hope this answers your question. Thank you! It is so heartwarming to hear that you are enjoying the stamp collections I created. Thank you for taking the time to write. I wish you many, many moments of blissful creating! It is such a happy place to be! The little girls are adorable. 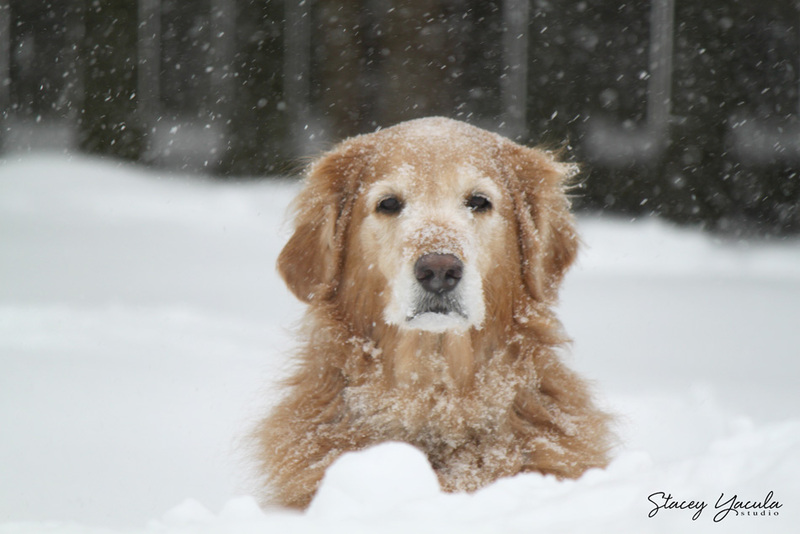 And thank you for sharing your wintery photos--Bailey looks happy indeed! Thank you donna! Bailey is a happy girl. she certainly knows how to make me smile!